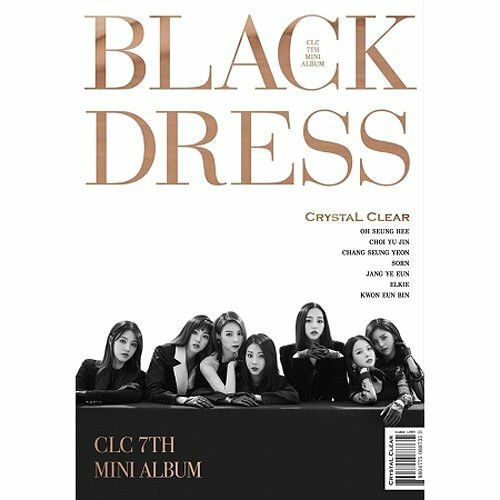 CLC [BLACK DRESS] 7th Mini Album CD+Photobook+Postcard+Card K-POP SEALED by CLC [BLACK DRESS] 7th Mini Album at WA Tunes. Hurry! Limited time offer. Offer valid only while supplies last. CLC [BLACK DRESS] 7th Mini Album / Components : CD+146p Photo Book+1p Post Card+1p Photo Card (Poster is not included.) / TRACK LIST DISK(CD). 1. If you have any questions about this product by CLC [BLACK DRESS] 7th Mini Album, contact us by completing and submitting the form below. If you are looking for a specif part number, please include it with your message.